What is money? We all use it, we all want it, but what is it? To put it simply, money is a medium of exchange for goods and services. Personal finance is all about having money to pay for goods and services you need or desire in your life. Let’s start with understanding various activities related to money. Earn: You can earn money by manufacturing goods or providing services that someone else is willing to pay for. Spend / Save: Spending is the easiest thing about money :-) In modern economy, everyone seems to be out there with sole purpose of selling you something, you can spend your money to buy whatever you deem fit. 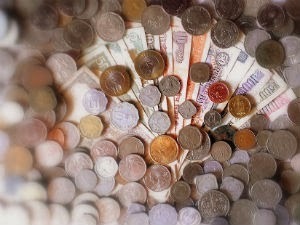 Saving is the other side of the same coin: you can save either by not spending or spending less. For example, if you can negotiate a lesser price for a purchase, you will save some money. Devise a Budget: You should create a budget so that you are aware of your earnings and expenses. A budget plan helps to save for major future expenses such as buying a car or house, children education, and your retirement. Your budget plan should be such that your earnings are more than your expenses. The surplus is called savings. First, you should set aside contingency funds. Life has a uncanny ability of throwing surprises. Pleasant ones are nice, it is the unpleasant one that you need to set some money aside for. It is a good idea to have a contingency funds to cover your 6-12 months of living expenses. After setting aside contingency funds, the savings can be invested to grow and meet planned future expenses. Invest: Another way of earning money is by investing and making your money grow. There are several kind of investments such as equity, debt/bonds, real estate, gold. Each of these differ in risk and returns. We will get into details in future articles. Borrow: If you do not have money, you can borrow it from someone who has it and is willing to lend it to you. At the end of this transaction, person who receives money has an outstanding loan (or debt or mortgage), which is an obligation to repay the loaned amount, called principal, along with agreed upon additional amount called interest. You should be cautious in taking debt because mindless piling of debt obligations will certainly cause serious troubles later. You should not accumulate debt that you can't repay from your income. Usually taking debt for creating (potentially appreciating) assets is sensible but taking debt for your daily expenses or consumption is a bad idea. Insure: You need to insure various assets, such as life, health, car, house to cover the risk of loss and damage from unforeseen and unfortunate accidents and incidents. Give: Last but not least, if you have done well and have more money than your needs, consider donating to worthwhile causes and charities, and helping those who have not been as privileged and fortunate as you. One thing is certain that when you leave this world, you will not be able to take your wealth with you. At some stage, you might want to look at estate planning and creating a will for the wealth you will leave behind. In future articles, various aspects these activities will be covered in detail. In your quest to create wealth, don’t ignore your health and happiness. Equating self-worth with net-worth is not wise. After all, wealth is just a tool, albeit a very powerful one. From my personal experience I know that its lack can be a serious hindrance and how its presence can help. But I have also learnt what its absence can’t do: it can’t deny you your destiny, it can’t take away your will to make something meaningful out of your life. Wealth is just a means to an end called life. So by all means, be prudent about money and respect it; but maintaining a certain level of detachment from it helps in setting and pursuing goals that give meaning to the life. That is the foremost principle of my finlosophy. What is your money philosophy? Please share your thoughts in the comments below. This is the oldest post.